I finally got around to opening my September issue of House Beautiful this afternoon. Overall it is an inspiring issue to get us through the last months of summer. My favorite piece of course was the East Coast beach house designed by Mona Ross Berman (photographs by Johnny Valiant). 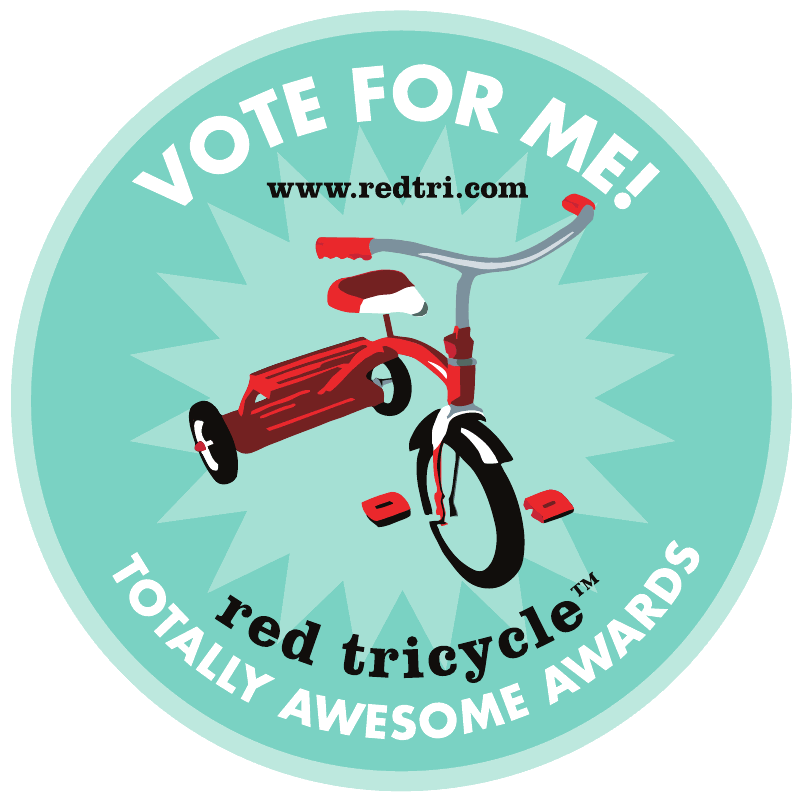 Here is a highlight of a few of my favorite rooms in the house. For more rooms visit the gallery at House Beautiful. The master bedroom is dominated by the beautiful painted floors in a chevron pattern in White Dove and Salmon Berry by Benjamin Moore. The boys room features and custom-built bunk bed and Katie Ridder's Beetlecat wallpaper. This bathroom is fabulously bright! 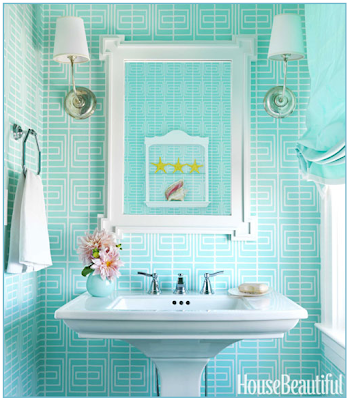 Bathrooms are a great opportunity to play with color and pattern. 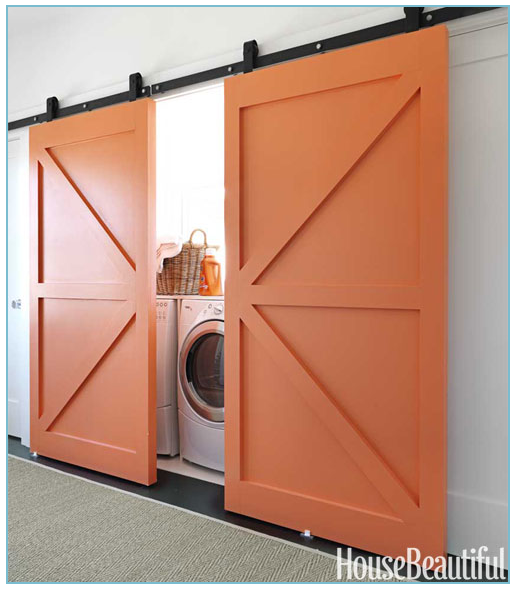 You know I love a well-designed laundry room. These orange sliding barn doors create a statement on their own. Lastly here is a glimpse of the living room. Mona has fun playing with pattern and scale on the pillows on the couch, an easy way to customized a standard sofa. 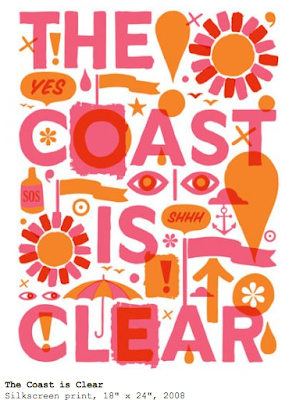 I'm sure a few of you will ask, so here is the link to get your own "The Coast Is Clear" silkscreen poster by Jeff Canham. I also found this nursery that she designed in her portfolio. 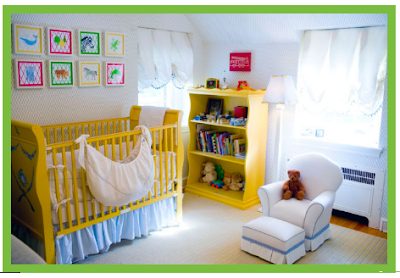 How fun is the yellow crib & bookcase? She is definitely not afraid of color! They may become happy to receive that and you should become excited to supply that in their mind, rolex replica sale realizing an individual failed to spend practically the quantity about it in which people spend about authentic Jaeger Lacoultre Gran Sports activity timepieces. cartier replica uk Started in the identical twelve months in which coordinated wide-spread moment frequent has been create (1884), and a noticeably well-established spouse regarding world aviation, replica cartier Breitling observe firm provides on a regular basis offered models permitting simultaneous read-off with all the time in a couple of factors with all the planet, hublot replica as an example the particular well-known Unitime released in the 1950s. replica rolex The particular Colt GMT+ might be a especially stunning illustration with the experience.